I consider myself to be an artistic person. Art was always my favorite subject in school, and you could often find me huddled in the back of the classroom, hunched over a sketchpad, my hands covered in ink stains. I used to live & breathe art: pages & pages of doodles all over my notebooks, moleskin journals filled up with mixed media collages, and countless word documents on my laptop of poems, prose, and short stories. During my junior year of high school (which feels like the stone age now! ), I got really into photography. 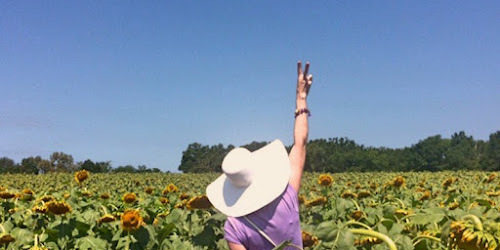 My mother ran an online vintage store (still does! 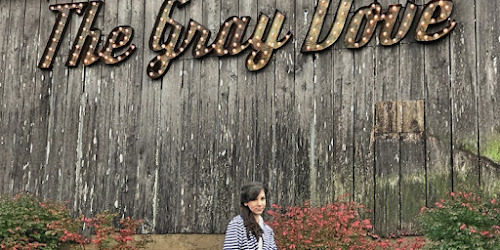 ), and I would often borrow her glamorous 1950s and 60s dresses and set off to some fabulous location in Memphis for a photo shoot - and thus began my love affair with fashion photography. I was way ahead of the curve on #OOTD back then! 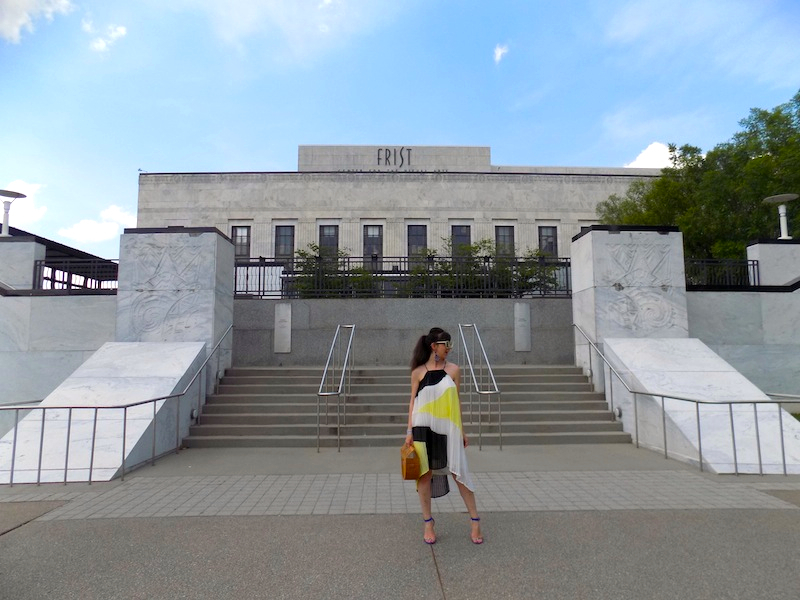 For someone who loves art, wandering around the galleries of an art museum (while dressed to the nines) sounds like a pretty perfect day. 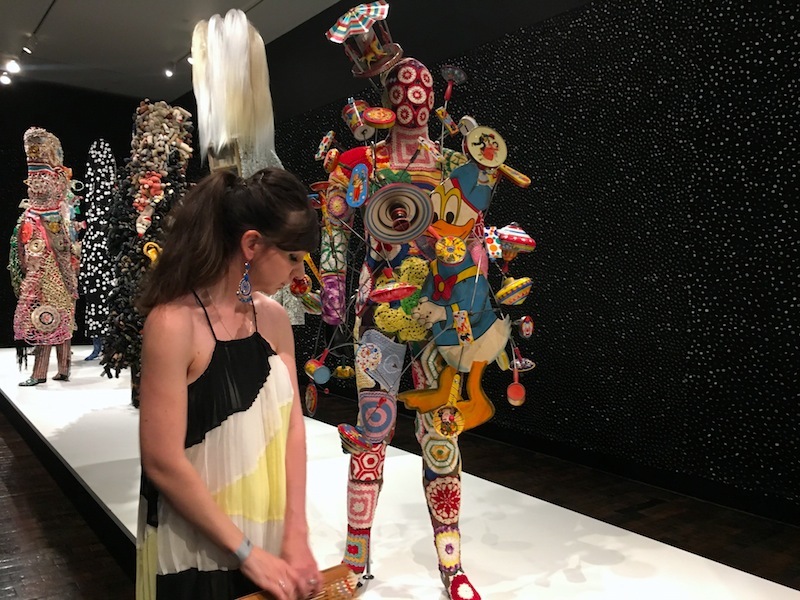 While Nashville doesn't have any fashion exhibits right now, they do have something equally as intriguing: the Nick Cave exhibit at the Frist. On the surface, Nick Cave's art is very detailed & fun. His sculptures and canvas art are made of various materials like sequins, fur, and toys all assembled in a symphony of color that form one cohesive piece. However, they all speak to a deeper meaning & touch on some heavy subjects like race, gender, and class. While I can appreaticate the sculptures for what they are (& how long it must have taken to create each! 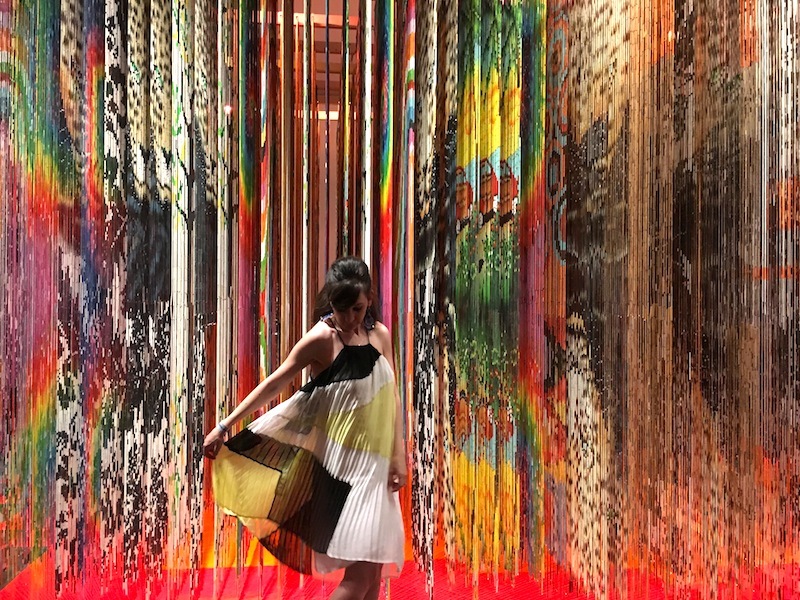 ), the main draw for us at the exhibit was the "Architectural Forest," a floor-to-ceiling installation that combined beaded hanging strings in every color of the rainbow that changed as your viewed it from different angles. Talk about gorgeous! 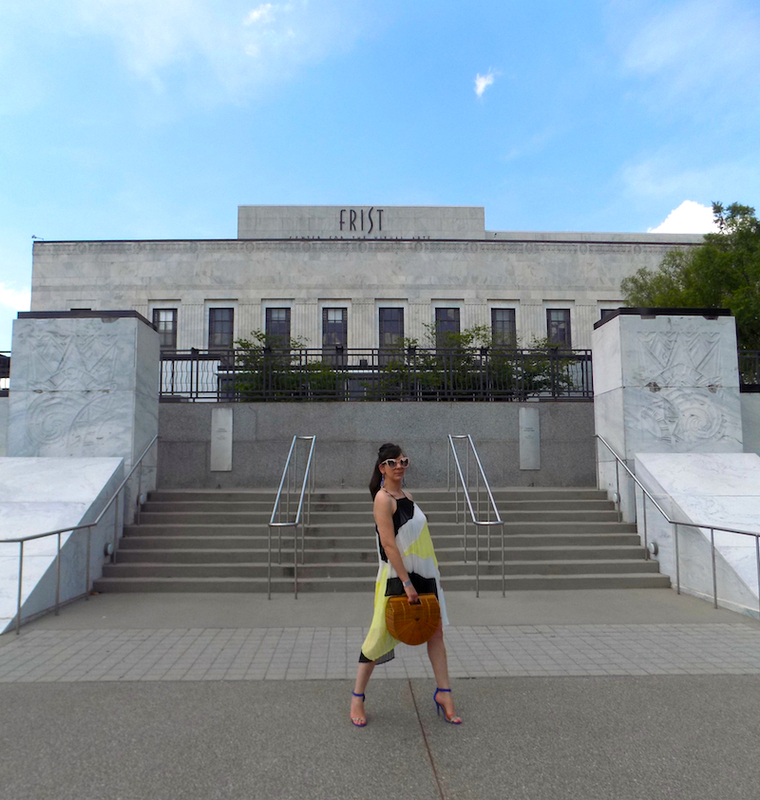 Photography at the Frist is allowed depending on the exhibit, as some artists allow it and others don't. Luckily, Nick Cave is totally cool with people taking photos of his art & encourages the immersive experience. 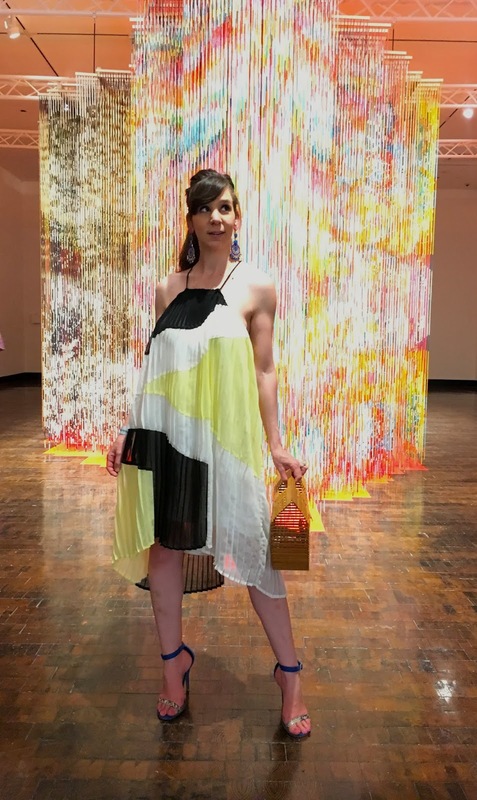 I dressed the part with an equally colorful, architectural, and very artistic outfit that I thought went rather well with the aesthetic of the installation. I paired my pleated swing dress with a fabulous pair of electric blue stilettos. 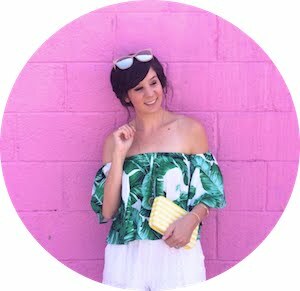 I finished out the look with my new favorite bag: this ark clutch - you've probably seen them all over the blogosphere this season. There are so many versions of this bag that all run the gamut on price, so the choice to save or splurge is up to you. I don't see much difference between this $40 version and this $150 one if you don't care about the brand, but I can 100% get behind this whimsical rainbow version! I felt very "New York fashion week" in this outfit, and the security guard posted up at the exhibit even asked me if I was from New York because I "looked like it." I'm not entirely sure what that meant, but he said it was a compliment - so I'll take it! I will definitely be checking back in with the Frist to see what other exhibits they have coming. It's a great way to spend a Saturday afternoon! I love your dress! It went so well with all of the artwork! Thank you! 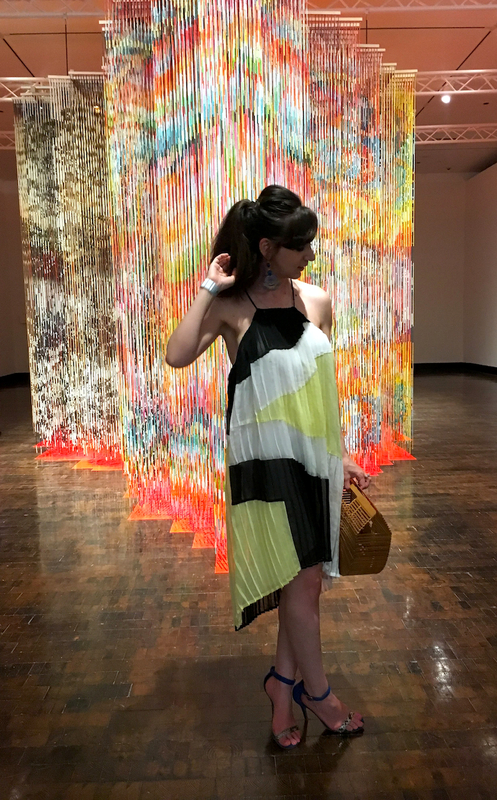 I thought this dress was perfect for the art installation!